Use this prompt to think outside the box, to go somewhere with your writing that you had never dare go before. See what kind of magic you can work with that brilliant mind of yours. You are a storyteller so this should be a breeze. I was happy when I received a commission last month to illustrate a Map for Aaron Thomas, author of The Weapon Bearer. Check out his website and books here. 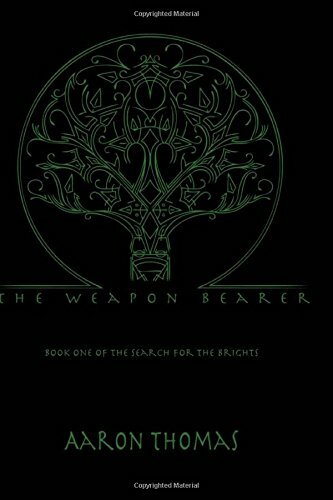 The Weapon Bearer – is the first book in a series “The Search for the Brights.” This coming of age story starts with a boy named Kilen looking to start his life’s journey in search of knowledge. Before he can start his journey his mother gives him his inheritance consisting of two magic rings imbued with the power of earth. Through his travels he is caught up in the schemes of the earth realm and has to become a soldier in the king’s army to prevent his sister from enduring a life of imprisonment. The story is action packed from front to back. It’s full of magic, love, intrigue, and a struggle to keep one’s family and friends out of harm’s way. Maps are one of my favorite things to illustrate, I love the look of an old map, they just whisk you away to far off worlds in your mind and you’re instantly on an adventure. This is only the third map I have ever created but I think I’m improving a lot with each project. If you have any suggestions for my future creations I’d love to hear them. I hope to do many more map illustrations in the future. If you are looking for a map illustration I’d love to hear from you. Check out this link to find out more information.